The generosity of Presidents Club members has improved campus buildings, provided thousands of students with scholarships, funded multiple faculty chairs and professorships, and propelled numerous research projects to improve lives. The Presidents Club recognizes University-wide cumulative giving at the levels shown below. Donors making estate and other planned gifts are also recognized as members of the Legacy Club. *If preferred, donors may decline public recognition. 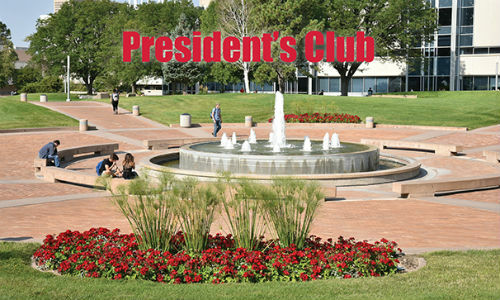 For more information about the Presidents Club, please call 719.549.2380, or email foundation@csupueblo.edu.